In northern Vietnam, east of Hanoi, is a gorgeous gem of nature which is famous for its stunning rock formations. Ha Long Bay translates to mean Descending Dragon Bay. It’s a UNESCO World Heritage Site and one of 28 finalists in the New 7 Wonders of Nature competition. It’s certainly not hard to see why with these breathtaking images. Ha Long (or Halong) Bay has a magnificent collection of 1,969 limestone monoliths that are dotted with jungle vegetation. The core of the bay has 775 islets. There may be 3,000 or more incredible islands of all various shapes and sizes rising up like jewels from an emerald sea. It would be easy to imagine pirates hiding behind the massive and sometimes hollow monoliths that hide gigantic caves. Birds can almost always be heard singing and monkeys can be seen playing on these monolithic islands that feature secluded beaches, grottoes, caves, and lakes. 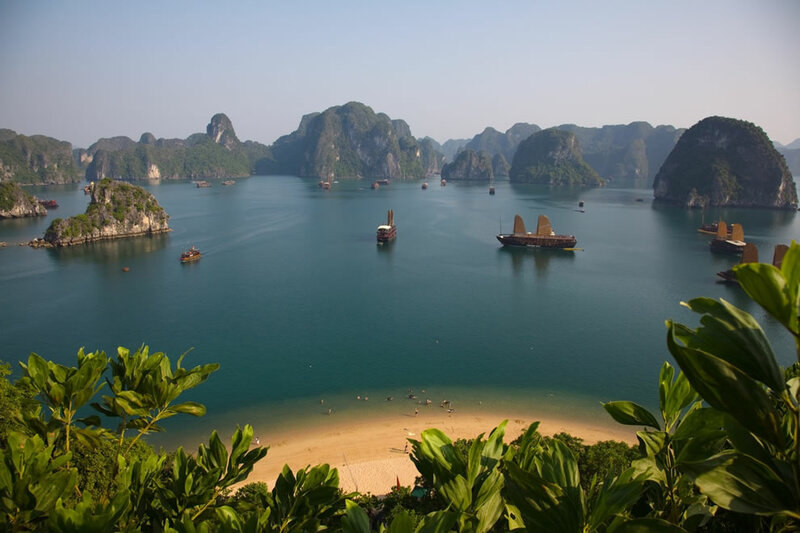 Welcome to Ha Long Bay, one of nature’s paradise locations!